From Bear Markets to $7 Trillion Market Cap? Despite the bear market in 2018, the stance of the twins and many cryptocurrency investors remain the same, “Bitcoin is better at being gold than gold itself.” Tyler Winklevoss believes Bitcoin will take away from gold’s market capitalization, surpassing the $7 trillion market cap of gold. Based on a total supply of 21 million bitcoin, the price could reach around $333,333 per coin if such a market cap was a reality. Right now, the market cap of bitcoin is USD 68,904,920,912 with a circulating supply of 17,584,925 BTC and price of USD 3,918.41. As a hedge against traditional markets, Bitcoin could be an attractive choice. If market cap is anything to go by, Bitcoin’s market cap dominance has increased 50% over the past year. This shows that despite the bear market, it has surpassed the dominance of other cryptocurrencies in the same period. Mass adoption remains an obstacle to potential increases in market cap. Continued entry of institutional investors and the like could give the extra boost needed to push prices and ultimately market cap. If for example, ETFs (Exchange Traded Funds) and other gateways into crypto are approved, BTC could see a high rise in price which may be accompanied by volatility. Market cycles could last years, but ultimately, if enough money is poured into bitcoin, $58.000 at a trillion-dollar market cap could be achieved. It’s not straightforward to determine circulating supply, an important element of market cap. Often, there may be an oversimplification of circulating supply. Websites that show such figures do not always reflect the virtual currencies that may be lost. For example, there are approximately 3 to 4 million lost Bitcoins. With such losses taken into account, circulating supply of the cryptocurrency wouldn’t be as high as 17,584,925 BTC at the time of writing. Additionally, circulating supply does not reflect cryptocurrencies in long-term storage. A lot of bitcoin supply is made up of bitcoins that have been inactive for over a year. Coin Market Cap shows cryptocurrency trading reaching multi-month highs. One could assume this may be good news for the market cap but the fact that 88% of volumes in the crypto markets could be false puts into question the prices which contribute to the market cap. This value does not give insight into how much capital has been invested in a coin. It does not give any indication of the quality of the cryptocurrency itself. 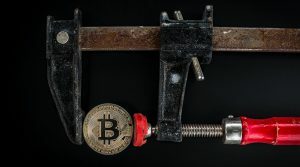 It only shows that there are some clever marketing folks in the industry who are creative in how they manipulate the supply of coins in circulation. How Can You Tell Which Cryptocurrency Exchange is Safe for Trading?